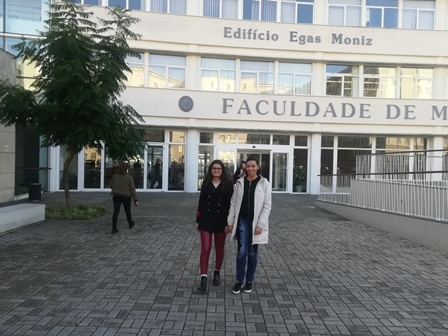 Nádia Fernandes is a Mozambican woman who came to Portugal study Medicine this year. The first time we met, she had just arrived with her father to enrol at the FMUL. Around Christmas, we decided to meet up with her again to find out how student life was treating her and how this first festive date would unfold in her new life. Christmas will be different because for the first time she will not be spending it with her parents. Currently living in Cascais with her 75-year-old aunt Beatriz, with whom she will be spending the night, having a very different dinner from those she had in Mozambique where 15 people gathered at the table in a warm and tropical environment that she so dearly misses. “Without my parent’s support everything has been a little hard, but I’m managing.” As a cardiologist and entrepreneur, time does not allow her parents to come and surprise he this year, but who knows, maybe they will be visiting soon. With her book of Anatomy open and currently studying all the bones and muscles of the hand, she says that it is a difficult class, as she will have to learn to about the entire human body in a single semester. 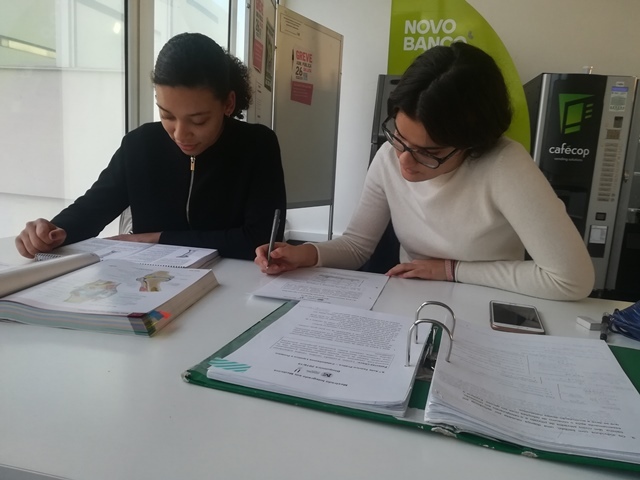 But those who think this is her first challenge are mistaken: she tell us that as a lover of Molecular Biology, the class is no less demanding, although very fascinating. With exams just around the corner, in January, she will spend the next few months studying. Although nervous and expectant, she knows these will be her first big challenges. Nádia She isn’t the only student from a different country, she has other friends in similar situations and with whom she’s created a closer group, considering the feeling of change is more familiar. Coming to a new place and not knowing how to move around, or use the Euro, are changes that we adopt to slowly. The hardest part is dominating Biochemistry, or Molecular Biology, the class she believes is the hardest this semester. Nádia and Beatriz these are two exceptions and that’s why we wanted to speak to them and wish them a Merry Christmas!